Are you taking thyroid medication but still losing your hair? Is your hair brittle, dry or breaking? All of these symptoms may result either directly from low thyroid or as a result of low thyroid function in your body. What most patients don't realize is that hair loss is multifactorial (meaning many things contribute to it) ​and that means that stopping hair loss requires a comprehensive approach. Micronutrient deficiencies, high testosterone, high cortisol, low iron and much more all contribute to hair loss in thyroid patients. Can Synthroid Cause Hair Loss? Will Taking Levothyroxine Make my Hair Grow? Does Armour Thyroid (or other forms of natural desiccated thyroid) Cause Hair Loss? Does Hyperthyroidism Cause Hair Loss? Will Hypothyroidism Cause my Eyebrows to Fall Out? Will Taking Thyroid Medication Help my Hair Grow? Is it a good idea to Microblade my eyebrows if I have Thyroid Problems? Without a doubt, there is a very strong link between thyroid function and your hair growth. It turns out that your thyroid plays a critical role in both the development and maintenance of the hair follicle (1). That means that low thyroid function can make your hair fall out and can slow down or completely stop hair regrowth. To make matters worse low thyroid function promotes nutrient deficiencies that are required for proper hair growth. We are going to talk more about how this happens and how to replace these nutrients, but by virtue of how thyroid hormone reduces stomach acid, it can also reduce the absorption of nutrients like iron and B12 (2) which are required for proper hair growth. To complicate things even further thyroid hormone medications like levothyroxine can cause hair loss as a negative side effect to taking the medication. So effectively you may be losing hair because your thyroid function is too low but taking thyroid medication which also might be increasing your hair loss. ​And don't forget that hypothyroidism itself also depletes micronutrients required for proper hair growth. When you put all of these factors together it's easy to see why finding the root cause of your hair loss can be difficult and why it takes a comprehensive approach. Bottom line: Hair loss in hypothyroid patients may occur from hypothyroidism itself, as a negative side effect to thyroid medication or from the nutrient deficiencies caused by low thyroid hormone. Each of these must be treated to ensure proper hair growth. While thyroid function is very important for regrowing your hair back it's not the only (and in some cases not the most important) factor involved. Often times hair loss in hypothyroid patients ​is a result of multiple factors. This means that just assessing for one problem, or taking one supplement or making one change will not be as effective as trying multiple things at once. This has to do with how thyroid hormone interacts with other hormones and nutrients in the body. If you have hair loss and you aren't sure if you have hypothyroidism then make sure to check out this post here for a complete list of symptoms related to your thyroid. ​The first thing you should be evaluating is your thyroid function. I'm assuming you already have a diagnosis of hypothyroidism by the time you read this. That means you are most likely taking some form of thyroid medication. ​It turns out you need enough thyroid hormone (including T3) in your body and system to have proper hair growth. T3 and both T4 prolong the duration of the hair growth cycle by blocking an inhibitory growth factor TGF-B2 (3). On the flip side - too much thyroid hormone can increase hair loss as well. What this means for you is that you need to find the sweet spot where your body has enough thyroid hormone in the body (in the form of T3 thyroid hormone), but not enough to increase hair loss. ​It is well known that hypothyroidism (meaning low thyroid function) causes hair loss, hair breakage, etc. But it is also well known that one of the main symptoms of hyperthyroidism is hair loss as well. ​So how do you know if you have "enough"? Unfortunately, there is no magical number that your T4 or T3 levels should be in order for your hair to grow properly, but we can follow some guidelines. ​You need enough T3 in your body to promote hair growth. For most patients that means taking T3 in some form. You can get this T3 by taking natural desiccated thyroid or by adding liothyronine or Cytomel to your current dose of T3. Most patients are being treated with T4 only thyroid medications like Levothyroxine or Synthroid. These medications rely on your body to convert T4 into T3, but this doesn't always happen. For this reason, many patients may actually need to add T3 to their current regimen to slow down their hair loss. In some cases, levothyroxine and Synthroid may be enough but the dose simply isn't high enough. In these cases, you need to make sure that your dose is adequate and high enough. Many patients (and providers) have a tendency to focus on the TSH as an indicator if they have "enough" thyroid hormone in their body. But so many patients walk around with a "normal" TSH but their hair is falling out and they are still fatigued. 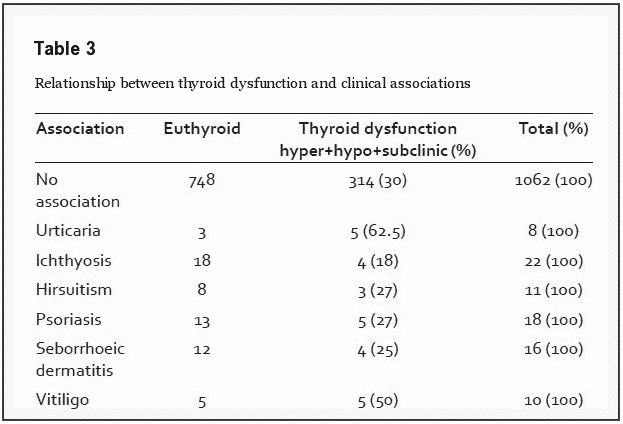 In many cases, the TSH (as an isolated value) is not very predictive of tissue levels of thyroid hormone. Studies have shown (4) that patients treated with thyroid medication to "euthyroid" TSH levels (meaning normal TSH levels) still show lower levels of T4 and T3 than controls who are not on thyroid medication. Unfortunately, the free T3 and free T4 values mean more to your body than your TSH and it is these values that influence your hair growth. Because of this, it's not the best idea to base your dosing on the TSH alone. Instead focus on other factors like your symptoms, body temperature, and resting heart rate. ​Your medication may actually be making your hair loss worse. One of the negative side effects to your thyroid medication is hair loss. This side effect is separate from hair loss related to high or low thyroid levels, it's just a side effect of the medication itself. You may be thinking your hair loss is due to a low dose, when in reality it may be caused by your medication! ​T4 only thyroid medications can cause hair loss as a negative side effect of taking the medication. This can be as a side effect from overdose (5) (taking too much) but also likely related to the fillers/dyes in the medication itself. As you know levothyroxine is a T4 only thyroid medication (Synthroid, Levothyroxine, etc.). T4 is important for hair growth, but T3 is as well. Many providers try to increase T3 levels by giving patients T4 only thyroid medication, but this assumes that the patient has no issues with T4 to T3 conversion. In cases where patients have problems converting T4 to T3, it's possible to take too much T4 thyroid hormone which can lead to hair loss due to this build up. If you are experiencing hair loss while taking Levothyroxine you have to figure out if it's directly related to the medication itself or due to a low or high dose. One relatively easy way to determine this is by switching your T4 medication. Even switching from generic Levothyroxine to Tirosint may dramatically improve your hair loss. Ti﻿﻿rosint has the fewest inactive﻿﻿ ingr﻿﻿edient﻿﻿s out of all T4 only thyroid medications which mean that it is more highly absorbed (meaning you will get "more" of the thyroid medication). In addition, Tirosint has 3 inactive ingredients. By switching to Tirosint you can account for absorption issues and for adverse reactions to inactive fillers. ​If this option doesn't work then you may need to switch to NDT formulations (or T3 formulations). Compared to Levothyroxine, Cytomel/Liothyronine is a T3 only thyroid medication. T3 as a thyroid hormone is much more powerful than T4 only thyroid medication because T3 is directly active in your cells, whereas T4 has to be activated. Some patients believe that adding T3 (or switching to T3) will dramatically reduce their symptoms of hypothyroidism, including their hair loss. One side effect of Cytomel and Liothyronine is a dramatic but temporary increase in hair loss (6) in some patients while starting this medication. Upon switching or adding T3 to their regimen this can cause some concern for many patients. Fortunately this, side effect tends to be self-limited. Meaning, it will go away within 2-4 months. When switching to or adding T3 to your current thyroid regimen make sure you give it time because temporary hair loss is a known side effect of T3. Obviously, this can cause some confusion for patients who may wrongly believe that their hair loss is a result of taking too much thyroid hormone or confuse them further. If you fall into this category do not be alarmed, instead, give it some time - up to 2 to 4 months and the hair loss will likely subside. In my experience, this side effect tends to occur about 20-30% of the time when, and it is a real cause of concern for many patients who are already self-conscious about their hair. The mechanism of this hair loss is not understood, but in my opinion, it likely has to do with an increased demand on hair growth and an insufficiency in local nutrients and other growth factors that aren't ready for the increased demand. Natural desiccated thyroid hormone like Nature-throid, Armour Thyroid, NP Thyroid, and WP thyroid can cause hair loss as well. The mechanism behind hair loss in these medications is less understood than other medications but is likely due to a reaction to the ingredients and due to the amount of T3 in these medications. Most of the time the hair loss in these patients is usually temporary (but not always). In some cases, hair loss isn't necessarily due to the medication itself, but instead due to the increased demand that the thyroid hormone places on the hair follicles. By addressing micronutrient status (discussed more below) and by providing your body with the building blocks for hair growth, this hair loss will likely stop in 1-2 months. Occasionally patients simply need to switch to a different type of NDT medication. If you are noticing hair loss while taking Armour Thyroid, then consider switching to the same dose of WP thyroid or Nature-throid. Remember that much like T4 only thyroid medications, each NDT medication contains different fillers. This means that you may react poorly to one medication and better to another. This switch is relatively easy to do and may stop hair loss. In my experience, I have some patients who simply don't tolerate certain types of NDT but by trying various combinations we can eventually get to the right type/dose of medication to halt hair loss. If the other options fail then you should consider switching to compounded formulations of T4 + T3 in similar doses to that of your NDT. ​Lastly, remember that taking too much thyroid medication can also cause hair loss. This can confuse patients further because it is possible to take too much thyroid hormone and cause negative side effects that may mimic hypothyroidism. Taking too much thyroid hormone can lead to fatigue, anxiety and worsening hair loss - all of which are symptoms of hypothyroidism. Due to various factors, and our current treatment paradigm, it's easy for patients to believe that they are under-dosed when in reality they may be taking too much thyroid hormone. One of the most critical nutrients (and often most overlooked) for hair growth is your iron status. Iron is so important for hair growth that you can't blame hair loss on your thyroid until you've increased your ferritin and other iron levels to a suitable level. For reference, a f﻿﻿erritin level of at least ﻿﻿30 ﻿﻿ng/mL (7) is required for proper hair growth. ​Studies have shown that women with systemic inflammation (evidenced by high levels of ESR/CRP) and other underlying hormone imbalances that ferritin levels lower than 30 ng/mL are strongly associated with hair loss. Ferritin is a marker of the iron stores in your body, but your ferritin can be low while your iron levels are relatively "normal". You can see that the ferritin reference range is from 10 to 154 ng/mL meaning that you can range anywhere from 10 to 29 and still be considered "normal". Meanwhile, you may be experiencing diffuse hair loss or other symptoms of low ferritin. Because of this, it's important that you understand where your ferritin level needs to be if you are suffering from hair loss. Another very important connection, as it relates to patients with hypothyroidism, is the connection between thyroid hormone and iron deficiency. Low thyroid hormone causes iron deficiency due to decreased absorption in the GI tract. This means that hypothyroid patients are in a situation which promotes iron deficiency. Hair loss from hypothyroidism and now hair loss from low iron caused by low thyroid function. For these reasons, iron is almost more important than your thyroid hormone when evaluating hair loss. Because iron is very much a "Goldilocks" type of nutrient - meaning you don't want too much and you don't want too little, you need to make sure you evaluate your serum levels before you supplement. ​Below I've included a list of lab values that I consider to be the "optimal" ranges for thyroid patients and how I recommend you supplement if you are deficient. When supplementing with iron make sure that you are also being treated with thyroid hormone to ensure proper absorption. Also make sure that you take any iron supplements AWAY from your thyroid hormone, as iron may delay or inhibit the absorption of your thyroid hormone. Believe it or not, the role that micronutrients play in hair loss is not well understood and not well studied. We know for sure that many micronutrients (8) are required in the production of hair growth, and therefore deficiencies in these nutrients likely lead to hair loss. The research in these areas is somewhat limited so I have included below the list of the most powerful nutritional supplements, and ones that I have personally used and know work below. Obviously, there are other factors involved in hair growth, but these micronutrients are commonly deficient and replacing them often leads to significant improvement in hair growth. Like iron, low thyroid sets up a condition where many of these nutrients may be malabsorbed. Couple that with the nutrient-depleted standard American diet, and you have a perfect set up for micronutrient deficiencies that lead to hair loss. When you consider supplementing with these medications make sure that you also evaluate other major factors like your thyroid medication and your iron status. One of my favorite supplements to use is the combination of Silica + Choline + biotin, which I find particularly helpful in thyroid patients. 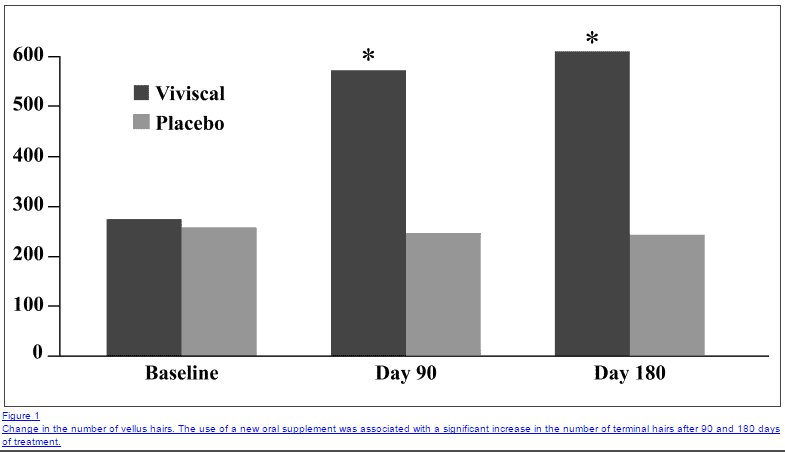 Studies comparing placebo vs this combination show significant improvement in hair growth over several months. For this reason, I often suggest this combination to patients with hypothyroidism and hair loss. Patients with Hashimoto's, Hypothyroidism or impaired thyroid function AND with hair loss should consider these supplements in addition to changes in thyroid function and evaluation of serum iron levels. This combination of supplements is probably the most effective at regrowing hair than any other. Studies have shown that patients who don't respond to iron alone show hair growth when L-lysine is added to their regimen (14). For this reason, L-lysine makes the list because it is required for proper hair growth. Selenium is a critical nutrient for thyroid function and for hair growth. Selenium helps boost T4 to T3 conversion (15), therefore increasing the amount of T3 circulating in your body. At the same time, it can help balance immunity and reduce TPO antibodies in patients with Hashimoto's thyroiditis. Like selenium, zinc helps promote T4 to T3 conversion, acts as an anti-inflammatory agent and can boost immune function. What's more interesting is that thyroid hormone is required for proper zinc absorption. This means that hypothyroid states can deplete zinc levels and supplementation with zinc isn't optimal unless you are also supplementing with thyroid hormone. Zinc also plays an important role in hair growth and replacing zinc has been shown to increase hair volume (16). Lab tests for Zinc are notoriously inaccurate and new studies suggest that the best way to test for Zinc deficiency is with a trial of Zinc supplementation. Those who are severely deficient may need doses as high as 30 to 60mg per day, while doses as low as 5mg are fine for maintenance. Up to 40% of hypothyroid patients are B12 deficient. Like the other nutrients listed above thyroid hormone is required for optimal B12 absorption. This may explain why so many hypothyroid patients experience low energy and low B12 levels despite taking oral formulations of B12. Because hypothyroid states can limit B12 absorption (even sublingual forms) I recommend highly absorbable and activated forms of B12 and other B complex vitamins. Remember that you need a serum B12 level of at least 700 in order for hair growth to continue. Your thyroid isn't the only hormone in your body that contributes to hair loss. 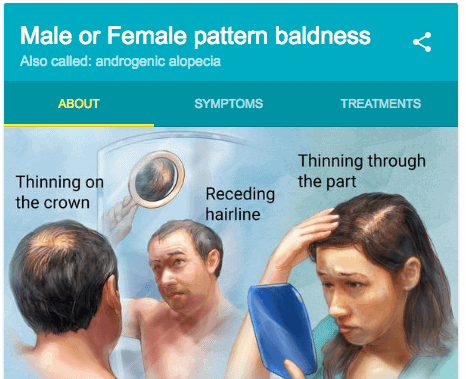 The levels of testosterone (and androgens) in your body also play an important role in managing hair loss (especially male patterned baldness in women). ​High levels of androgens (like testosterone and dihydrotestosterone) sit on and activate the androgen receptors on your hair follicles. The activation of these receptors results in male patterned baldness, the same pattern of baldness that happens in men! ​The mechanism by which testosterone and other androgens cause hair loss is different from the way that thyroid causes hair loss, but both can absolutely be present at the same time. So if you have hair loss and a known diagnosis of PCOS or simply high testosterone levels on your labs, then this hormone imbalance may certainly be playing a role in your hair loss as well. By far the most common cause of high testosterone and androgen levels that lead to hair loss in women is a result of high insulin levels. This connection is well established in the literature (18) and is part of the PCOS spectrum. Women who maintain high insulin levels also typically have high testosterone, low progesterone, high estrogen, and low thyroid function. As I've mentioned previously these hormone imbalances tend to accompany one another, so having just one is very unlikely. For this reason, it's very important that you have your free and total testosterone levels checked in addition to your DHEA and cortisol levels checked. This will give you an idea of your androgen status and can help determine if your hair loss is related to high androgen levels. What's interesting is that low th﻿﻿yroid function results in high insulin (19) levels, so having hypothyroidism really sets the stage for high testosterone in many women. The treatment for high testosterone varies based on what caused it in the first place and you can find the treatment for each cause in the post I listed above. For this post, I will focus primarily on supplements that are designed to help your body metabolize testosterone and get rid of it from your body. Zinc is an inhibitor of the enzyme 5 alpha-reductase, and it is this enzyme which turns your testosterone into DHT. So by reducing the activity of this enzyme, you can effectively reduce the amount of DHT circulating through your body, and DHT is approximately 5x more potent than testosterone itself. Which means that DHT should be your primary target when helping promote hair growth. Another very potent inhibitor of 5 alpha reductase is saw palmetto (20). The combination of Saw palmetto + Zinc at high enough dosages can dramatically improve hair growth and reduce the symptoms of high testosterone in both women and men. ​You already know how to supplement with zinc (it's the same as above), so let's focus on saw palmetto. Studies have shown that 4 weeks of supplementing with saw palmetto (21) can improve hair growth, but note that most patients will need to continue to use saw palmetto beyond 4 weeks for best results. 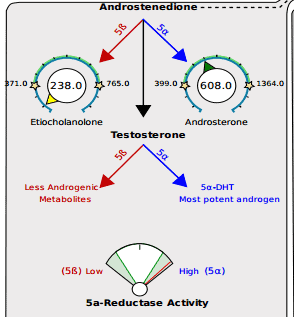 Bottom line: For best results make sure that you focus on the underlying CAUSE of high testosterone/androgens in your body in addition to supplementing. Please see this post for more information on how to do that. 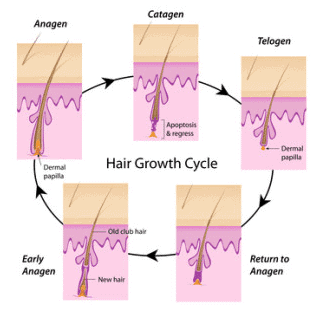 Estrogen and progesterone also play a role in hair growth and hair loss. Dysregulation (or an imbalance) in the estrogen/progesterone ratio can contribute to hair loss. It has been shown that changes in estrogen levels (22) contribute to hair loss in many women. Intuitively we know that this is true because we see it happen with women who go through menopause and with women who are pregnant. Menopause may result in changes to hair volume and texture (23), and post pregnancy is commonly associated with significant hair loss. ​What's important here is to focus on the connection between thyroid hormone and estrogen/progesterone levels. Low thyroid hormone results in low progesterone levels which may alter and change the relative concentration of estrogen:progesterone. This change is enough to cause issues to hair growth and hair loss by itself. In many cases, by simply getting on the right type and dose of thyroid medication it's enough to dramatically improve this ratio and reduce estrogen dominance. ​We can't talk about hair loss without at least mentioning cortisol and stress levels. You know by know that managing your stress is very important for managing your thyroid function, but perhaps you didn't know that cortisol extends beyond your thyroid and into your hair. Studies have shown that high cortisol levels alter the function and cyclic regulation of hair follicles (24). That means that high cortisol levels could be contributing to your hair loss. You know that cortisol is your stress hormone, which means that when you are stressed out your body will secrete more cortisol. Constant stress results in changes at the receptor level (25) and may actually alter serum cortisol levels (stress can both lower or raise cortisol levels). ​Your thyroid fits into this equation because thyroid hormone is involved directly with cortisol. A high TSH has been associated with high cortisol levels (26) (and you know a high TSH as a marker of low thyroid function). ​This means that hypothyroidism makes your body less resilient to stressful situations and may explain why so many hypothyroid patients also have issues with cortisol dysregulation. To help your body regulate stress you can consider using adrenal adaptogens which can actually help lower cortisol levels, lower adrenal androgens and have even been shown to improve hair growth in studies (27). Serum 8 am cortisol: For best results, this level should be somewhere between 4-16. Levels higher than 20 may require different treatment. Lastly, there is an over the counter medication that you can consider using to stop hair loss. The medication minoxidil is a topical medication (but available over the counter) which promotes hair growth and stops hair loss by altering potassium channels and increasing local blood flow and oxygenation (28). This effect likely results in increased nutrient delivery to hair follicles which promotes hair growth. It also prolongs the growth phase of the hair follicle which helps reduce hair loss long term. While taking minoxidil will not be a long term solution it does have value in certain patients because it can effectively (and dramatically) stop your hair loss in its tracks. Studies have shown that topical minoxidil in both men and women (29) has been shown to improve hair growth if used long term. Whenever possible I always recommend going after the root cause and treating that problem, but I also recognize the importance of immediate (or quick) resolution in symptoms. Many of the therapies we've listed above take weeks to months to set in, and while these therapies are building up it may be a good idea to halt the current hair loss. It's also important if you feel that your hair loss is causing significant social stress and a change in your self-confidence. I don't necessarily recommend long term use of Minoxidil but I do think it has value in certain patients. There is some debate as to whether the 2% or 5% is better for women, and studies have shown that both are effective. Bottom line: Minoxidil can help stop hair loss immediately while you wait for other therapies to start working. This medication isn't necessarily a long term solution but it can help halt hair loss quickly while new hair grows back. What if you have hair loss related to Hashimoto's or thyroiditis? Does this change how you deal with or treat your issue? The answer is... not really, and here's why. It turns out that most patients in the United States who have hypothyroidism suffer from this condition as a result of Hashimoto's. In fact, it is estimated that up to 90% of patients with hypothyroidism have Hashimoto's thyroiditis as the underlying cause. So, patients with thyroiditis have all of the usual problems that most hypothyroid patients have, plus they have a few extra from the autoimmune and genetic aspect of Hashimoto's which can complicate the hair loss picture. Those who have Hashimoto's will know that they are often very sensitive to inactive ingredients which include dyes and fillers in all products ranging from supplements to shampoos and conditioners. In addition to all of the recommendations above, you will want to make sure that you also ditch out low-quality hair products which you may be reacting to. These products can damage what little hair you have left and some of the chemicals may be absorbed transdermally (through the skin). And last of all, you may need to look into genetic causes of hair loss which may be caused due to your genes (you may not have control over these). I've seen patients who undergo all of the therapies and recommendations listed in this article with little to no success. In many cases, probably around 95-98%, you should find SOME improvement (the amount may vary based on the individual), which means it's rare to not experience any relief. But, there are genetic causes of hair loss which seem to be more prevalent in those who suffer from autoimmune disease. You'll know if you fit into this category because your mom, sister or grandmother may suffer from the exact same symptoms as you. Currently, we do not have great treatment options available for those who have genetic-related hair loss (aside from those listed in this article). Yes, both low thyroid and high thyroid levels can contribute to hair loss. Hair loss is a documented and well-known side effect of both hyperthyroidism and hypothyroidism. Yes, one of the side effects of Synthroid is hair loss. This may be due to the medication itself (including inactive fillers and dyes) or due to your dose itself. If your hair loss is due to hypothyroidism then taking Levothyroxine will improve your hair. Many times the state of hypothyroidism results in a cascade of hormone imbalances and nutrient deficiencies that all lead to hair loss. Yes, Cytomel and Liothyronine can both cause temporary hair loss that is usually self-limiting within 2-4 months. In most cases, the hair loss side effect from taking Cytomel will simply fade with time. Yes, NDT including Armour Thyroid, Nature-throid, and WP Thyroid can all cause hair loss. Yes, too much thyroid hormone in your body can also contribute to hair loss. Yes, one of the main symptoms of hypothyroidism is hair loss in the lateral 1/3 of the eyebrow area. Yes, but most patients do better while taking some form of T3 thyroid hormone. ​As you may have noticed it's normal for patients to lose the lateral 1/3 of their eyebrows as a result of hypothyroidism. In fact, this symptom is classic for thyroid patients. 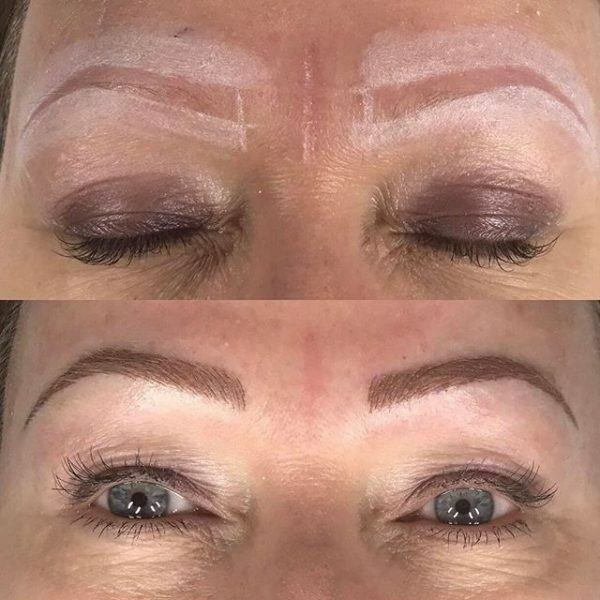 While you can grow back this hair (at a slow rate) with many of the therapies listed above it's also becoming more and more common to use a procedure known as microblading. Microblading is the process of applying semi-permanent pigment to your eyebrows to bring them back to their normal shape. I do think this is a process worth considering if you have thyroid issues and can be used to boost self-confidence (if that is an issue for you) while you undergo the recommendations above. The microblading process is only temporary but may be beneficial in some cases. ​You can learn more about the process and see before and after pictures here. Growing your hair back takes time, on the order of 4-6 months. While making changes it's often better to assess how much hair loss you have, instead of how fast your hair is growing back. You will notice less hair loss while making changes long before you notice your hair growing back. Are you experiencing hair loss with hypothyroidism? Has changing your medication slowed down your hair loss?